Work + Caught up with some to-do's at home. Marie! 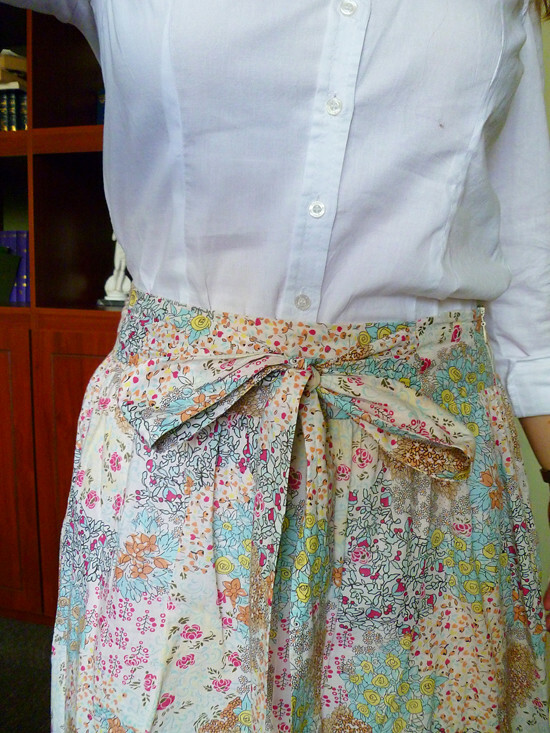 THat is SUCH a PRETTY skirt! I love it! 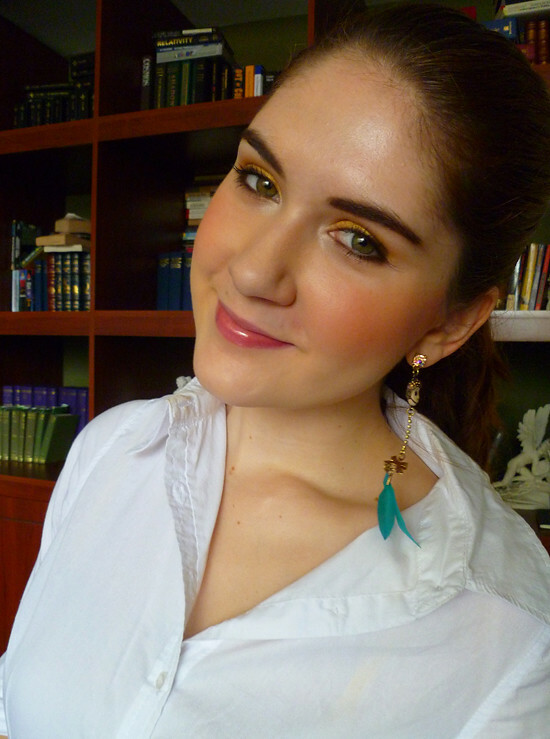 The bow, the florals, the colours and how you paired it with a professional lookiing shirt. Do you think someone shorter couold pull off the same look? I have stumpy legs so I only every wear skirts at knee length. Do you think it'll look good? Plus I'm really short :P I love this outfit! I'll be voting for this as my best outfit of the week! 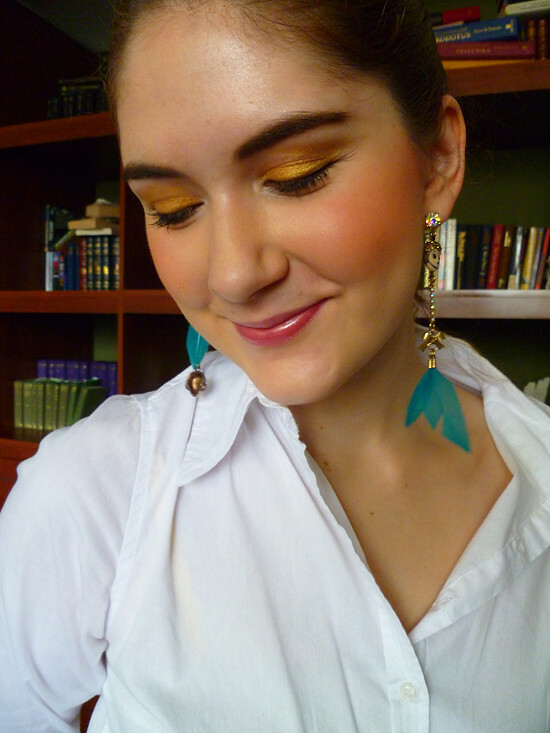 Nice yellow eyeshadow too! Aaawww, thanks for those sweet words Peacock Princess!! You really make me smile! To answer your question, I totally feel that you could pull off this look even though your short. 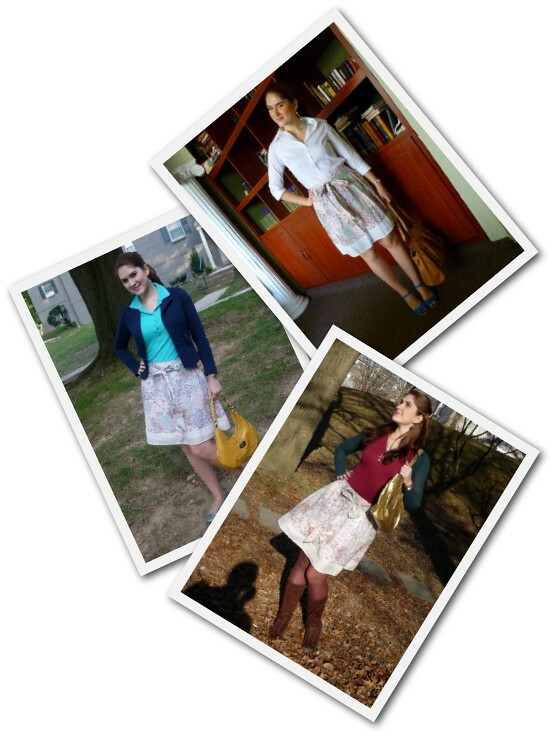 The important thing is to get a skirt that cinches at the waist and then floats away from the body. That way you bring attention to your waist. Then make sure that the collar shirt doesn't fit you too big, because since you are short, wearing a big collar shirt would probably make you look shorter. So try to get a collar shirt in a feminine cut that doesn't fit you super tight, but still sorda close to your body shape. If you can't find a skirt with a bow like mine, just buy a thick ribbon or a thick piece of patterned fabric and tie it around your waist as a bow!